By listening closely to our clients, we craft custom design solutions to both meet and exceed expectations. Our developers are modern day wizards. Taking your web and application needs, and turning them into a reality. We love what we do and strive to inspire your target audience and the world around us through the work we produce. Decades of experience combined into one tidy creative package. 48North is a small but talented team based in beautiful Victoria, British Columbia and formed by David Scott, a British born designer, and proud Canadian. Built out of his vision for a creative firm of like-minded individuals, our focus is on the needs of our clients and on developing long-lasting client relationships. 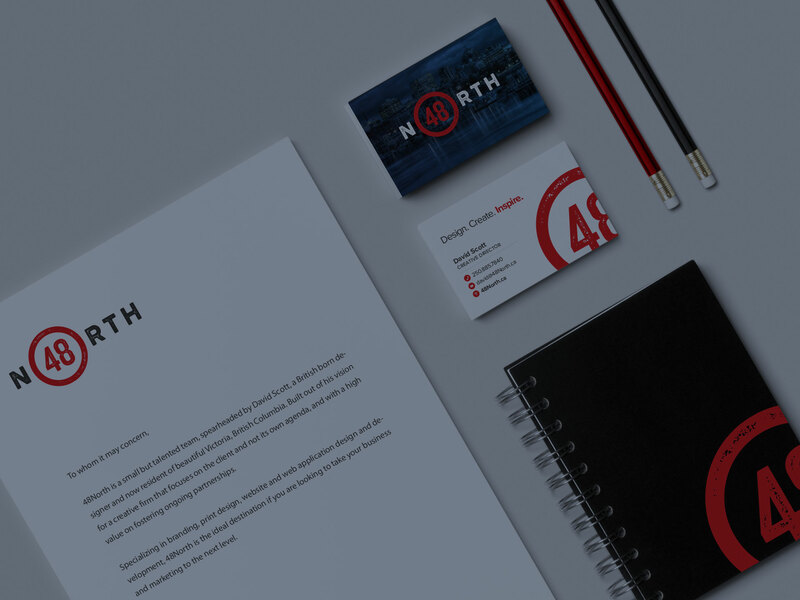 With the combination of branding, print design, website and web application design and development, 48North is the ideal place to take your business and marketing to the next level, with a team that truly cares.